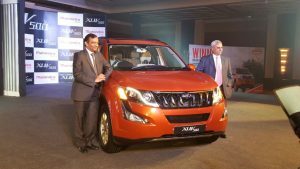 We, at Car Blog India, take pride in being among the first few to have come up with a comprehensive launch report on the just launched new Mahindra XUV500 2015 model. 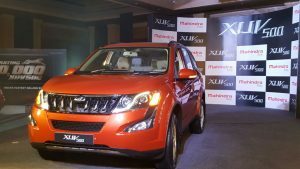 We have also brought to you a quick walk-around video of the new 2015 XUV500, LIVE from the new Mahindra XUV500 facelift launch event in Delhi. Now, what we have here is a quick comparison between the just-launched model with the one it replaces. 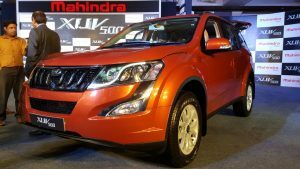 Titled as the Mahindra XUV500 Old vs New Model, our post here is an attempt by us to give you a fair idea of the various updates that the newly launched 2015 model Mahindra XUV500 carries. 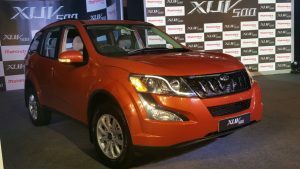 Read on to find out all the differences between the updated XUV500 and the pre-facelift model. One of the biggest changes in the styling of the new Mahindra XUV500 are its re-profiled headlamps. 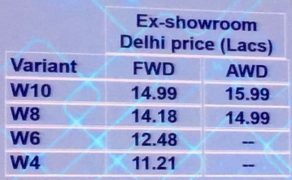 While we aren’t too fond of these new design headlamps, we do agree to the fact that they look more premium than the units they have replaced. 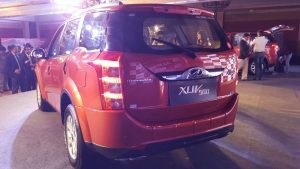 The new XUV500 also gets re-styled bumper, a revised bonnet and a new radiator grille at its front-end. Rounding off the changes in the exterior styling department are the new design alloy wheels that look sportier than the earlier ones, and some chrome around the rear licence-plate. 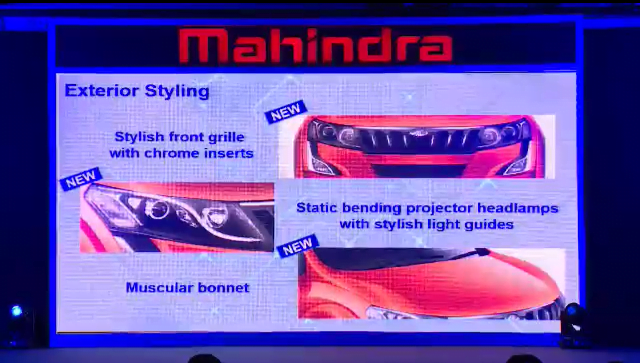 The car also gets 2 new colours- Sunset Orange and Pearl White. On the inside, the new model XUV500 gets beige upholstery and new color for its trim. 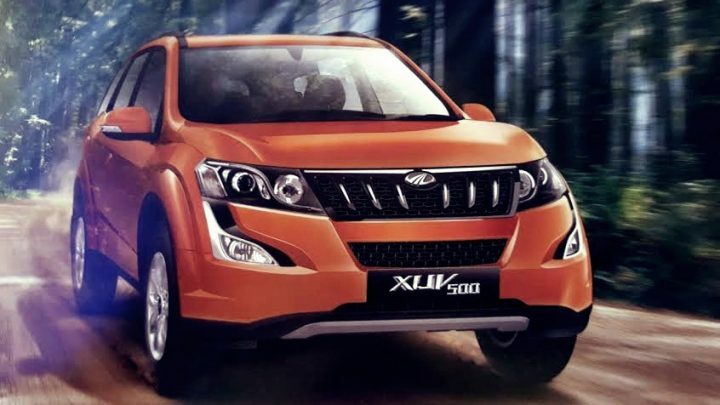 The spec sheets of the old and the new XUV500 remain largely the same. 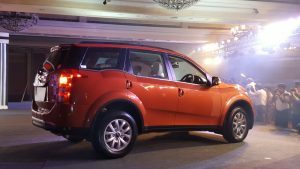 Powering the XUV500 is a 2.2-litre, four-cylinder, turbo diesel motor that comes mated to a six speed manual transmission. For the old model, the engine pumps out a maximum power of 140 bhp @ 3750 rpm and a peak torque of 330 Nm between 1600 and 2800 rpm. For the new model though, the engine has been tweaked for more torque. The car has also become more fuel efficient with an ARAI certified figure of 16 kmpl. The car gets energy re-generation system. 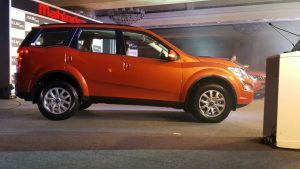 The XUV500 has always been a feature-laden car and things become even better with the launch of the new model XUV500. 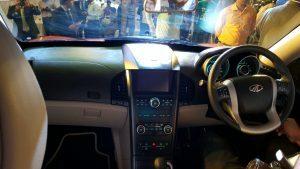 The XUV500 gets a host of new features such as an electric sunroof, push button start, 7-inch touchscreen infotainment system, reverse camera with dynamic assist, Mahindra blue sense app, and six-way power adjustable driver’s seat. 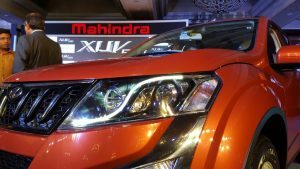 So, what do you have to say about our Mahindra XUV500 Old vs New Model quick comparison report? Do let us know by penning down your thoughts in the comments section below.